Botanica: Earthbound Collector's Edition is a continuation of a story that started in their previous release. The game is really impressive and would be a great entertainment for the holiday season even though it has nothing particular to add to the holiday spirit. 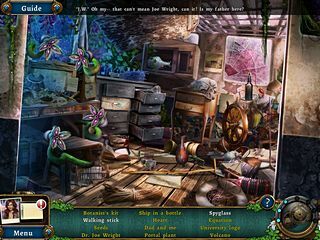 The game features all the elements of a good modern hidden object puzzle adventure game. There's a vulcano eruption in Botanica that put the main characters in great danger. You will be playing as two characters. One of them is Ellie, a botanist who was traying to find her father, and the other one is Ian who was trying to find a way back to his daughter before it's too late. Anyways, there's a lot of adventure waiting for you in this release. The graphics are very colorful and realistic and dramatic at times. The theme of the game is a great source of stunning lanscapes and island scenes. The music adds more depth to the atmosphere! The voice overs are clear and nice. 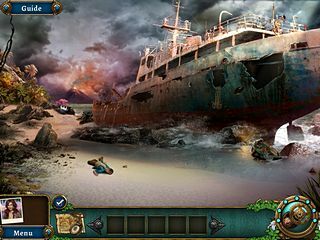 The game features all the elements of a good modern hidden object puzzle adventure game. The hidden object scenes are unique in the way the items are hidden or what you need to do to find them - a lot of interaction and puzzles there! Plus there are pure puzzles that come on their own. One other this to keep in mind here are potions that you have to make every once in a while. There's a lot to collect and achieve as well as some other extras to explore as you get to the end. The game is stunning and is one of the must for now. Don't miss this gem! This is Botanica: Earthbound review. Download this game here.